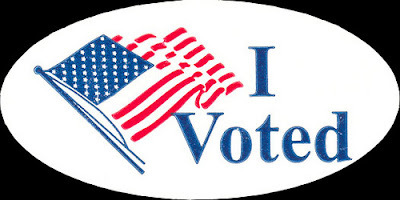 Early Voting Is Underway in North Carolina, What You Should Know, Respect My Vote! Early voting has begun in North Carolina, kicking off today (October 18) and running through November 3. So you don't have to wait until Election Day (Tuesday, November 6) to vote. If you have already decided which candidates/political parties you're voting for, then hop to it. If you're still undecided (I hope you're not waiting on the final presidential debate next week), then educate yourself. Whether it's through my work as a journalist or blogger, or my involvement in the community--such as when I helped coordinate three nonpartisan voter registration events last month in Charlotte (here, here, and here) through the Hip Hop Caucus and its Respect My Vote! campaign--you'll never hear/read me telling you who to vote for (my only goal is to help you become more informed and more involved). I leave the persuasion up to the billion dollars that's being spent on television and radio ads by the political parties, to the tens of thousands of volunteers across the country who are going door to door for the campaigns, and to whichever partisan cable news station you watch--FOX News or MSNBC. Actually, I hope you're cutting through all that clutter and not only deciding to vote, but understanding who and what you're voting for. Every four years, the presidential election becomes the hot topic that dominates far too many facets of our lives (my example in 2008), but when you show up to the polls, aside from going in to vote for either Obama or Romney, you'll also see races for state senators and representatives, local judges, county commissioners, and other important elections on the ballot. Some of the races are non-partisan, so even if you vote straight-party ticket, there will be other candidates you'll need to decide between. Don't go in there guessing. If you aren't registered to vote, even though the voter registration deadline has passed in North Carolina, in this state you can still vote at what's known as a One-Stop Voting Site, where you can register to vote and cast your vote the same day during the early voting period. So you can do that now through November 3 (but not on Election Day unless you're already registered). Click here for more details and here to search for the nearest One-Stop Voting Site in your county.